Common Myths - Is Fake Grass Safe For Children? Common Myths – Is Fake Grass Safe For Children? Children spend a great deal of their childhood outside. School sports, garden playtime, playground park visits. Most parents wouldn’t think twice about whether the natural grass is safe, but artificial grass, on the other hand, sparks a whole series of questions. Is fake grass safe for children? You may be surprised to find that it is, and while in life, natural is best (most of the time), artificial grass may be the safer option for children. Hay fever and allergies can produce unpleasant symptoms such as itchy eyes, a runny nose, and rashes. Many common allergens such as grass and pollen can also cause asthma attacks and even anaphylaxis. Artificial turf is non-allergenic, so it can’t trigger allergies, and it’s non-toxic, so it contains no harmful chemicals. Even the infill installation materials are safe. It is important to note that although artificial grass is better for allergies, it won’t eliminate pollen carried from nearby flowers and trees. Is Artificial Grass Safe For Toddlers To Play On? Over time, natural grass will wear, and inconsistencies and holes will form in the ground. These holes can be a tripping risk, especially for children who are constantly running around. The holes also fill with water when it rains which can then create a muddy and slippery surface. Artificial grass is durable; it can withstand high-traffic areas with minimal impact on its function and appearance. Another advantage of artificial grass is that it has an extremely high drainage rate, so water does not collect as it does with natural grass. This also means that any time is playtime, regardless of the weather! US Turf also provides different infills that help keep young children safe and create a soft surface for falls. Natural grass is only natural if it contains no chemicals or pesticides – which is rare. These toxic products can be harmful to children. We use artificial turf that is safe for toddlers and children because it consists of non-toxic materials that do not require dangerous chemicals for maintenance. With artificial grass, there are no grass stains or mud so your children can keep clean when playing outside- and it doesn’t hurt that this makes washing a lot easier for parents! Artificial grass contains anti-microbial agents that can help to fight bacteria that would otherwise thrive. All environments contain bacteria, but artificial turf can help to make the space safer and cleaner. If you’ve ever seen natural grass burn, you’ll know that it’s fast and relentless. At US Turf, we use fire rated materials to produce lawns that, in the unfortunate event of a fire, do not spread a fire.  US Turf is based in San Diego, and are experts in artificial lawn installation. We offer high quality American-made safe artificial turf for residential and commercial use. 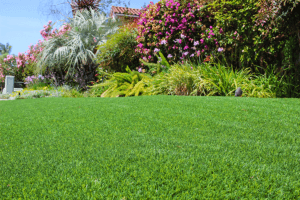 Our grass is safe for both children and pets and could prove to be a great investment for your home or business.